Robert Smithson’s Mirage No. 1 is an arrangement of nine framed mirrors that increase in size from one square foot to one square yard. 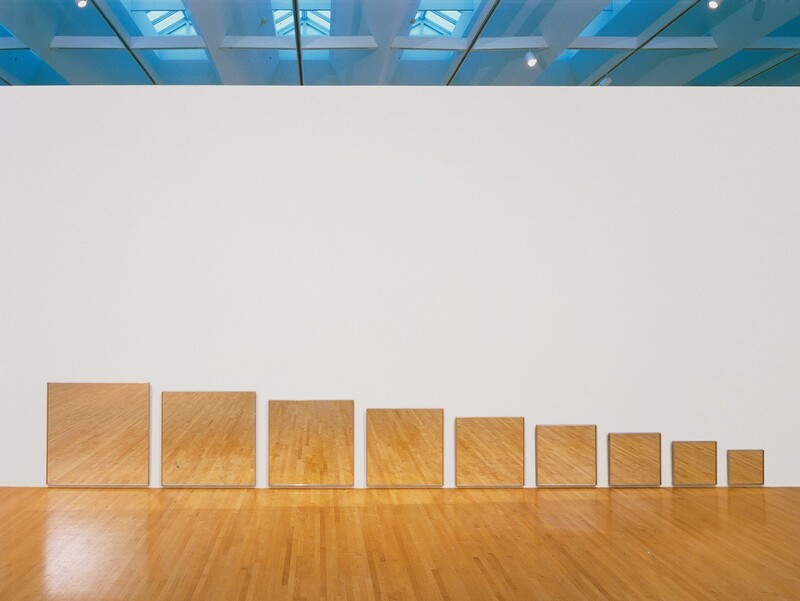 Hung on the wall at three-inch intervals, the mirrors create an experience of displacement: as they reflect the movements of people in the space of the gallery, the shifts in size cause jumps in scale, and the gaps between them interrupt visual continuity. Smithson’s efforts to decenter and disorder the viewer’s vision stemmed from his interest in entropy, a scientific law of thermodynamics stating that, though energy cannot be destroyed, it does become scattered, useless, and ultimately chaotic. Mirage No. 1 engages the topic of entropy by fragmenting the viewer’s experience in the gallery by means of an artwork structured to produce perceptual confusion and cognitive hiccups.